Does your Mom run on Dunkin’? In celebration of Mother’s Day, we have a few fun suggestions to help you make your Mom’s day extra special. 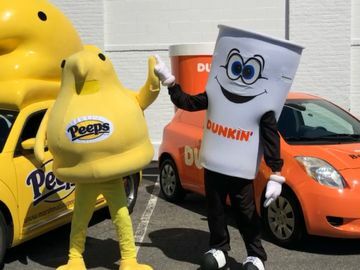 From a sweet Mom’s Heart Donut, to custom DD Cards, a special “This Mom Runs on Dunkin’” tumbler, and a Twitter sweepstakes offering fans a chance to win a sweet prize for themselves AND their Mom in honor of the holiday, we’ve got you covered. 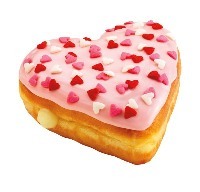 Show Mom just how much you “heart” her with the Mom’s Heart Donut. Available at participating U.S. Dunkin’ Donuts restaurants for a limited time around Mother’s Day, the Mom’s Heart donut is filled with Bavarian Kreme and topped with strawberry icing and a festive mix of pink, white and red heart-shaped sprinkles. If you’re looking for a new idea for Mother’s Day, why not surprise your Mom with breakfast in bed, or a special family brunch? 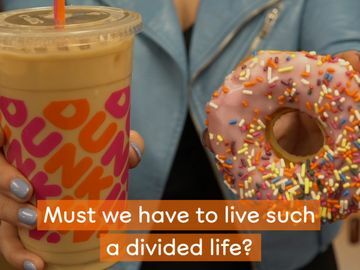 Take the stress out of planning by popping into your local Dunkin’ early in the morning and pick up her favorite coffee or tea beverage, plus a few Mom’s Heart Donuts. If you’re going with the brunch option, whip up your Mom’s favorite breakfast entrée to go with. 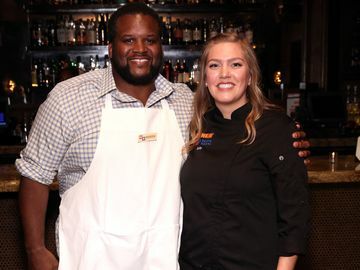 If you’re not much of a cook, we bet you could find something on our menu that will make Mom happy! Upload your favorite family photo to a customized DD Card for your Mom this Mother's Day. 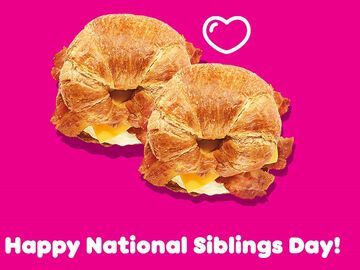 If your Mom loves stopping into Dunkin’ Donuts, she’ll be thrilled to unwrap a one-of-a-kind Dunkin' Donuts Card. Making a customized Dunkin’ Donuts Card is quick and easy, all you have to do is upload one of your favorite photos. The customized Dunkin' Donuts Card can be purchased online for $4.50 plus the Dunkin' Donuts Card value and shipping charge. Bonus - Mom can register her DD Card online to protect the balance in case the card is ever lost or stolen. She can also recharge it, or set it to auto-refill to ensure that she's always running on Dunkin'. Then, every time your Mom goes into Dunkin’ for a pick-me-up, she’ll smile as she takes the great customized Dunkin’ Donuts Card out of her wallet! 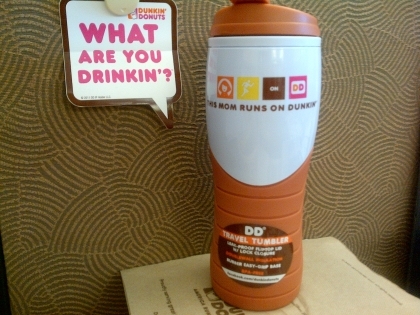 Does your Mom proudly proclaim that she runs on Dunkin’? Then, we’ve got a gift idea for you! New this year for Mother’s Day, we’re introducing special orange and white 16 oz tumbler that says, "This Mom Runs on Dunkin’," for a suggested retail price of $6.99 (plus applicable state taxes and shipping). Featuring double-wall insulation with a leak proof lid, these dishwasher safe and BPA free tumblers are perfect for the busy Mom on-the-go and are available at participating U.S. DD restaurants and online. 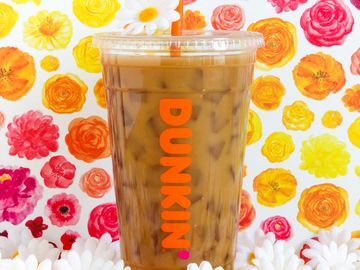 On Wednesday, May 2, and Thursday, May 3, @DunkinDonuts is offering its fans on Twitter the chance to win a sweet present for themselves AND their Mom’s in advance of Mother’s Day with the “Mom’s Heart” Twitter Sweepstakes. 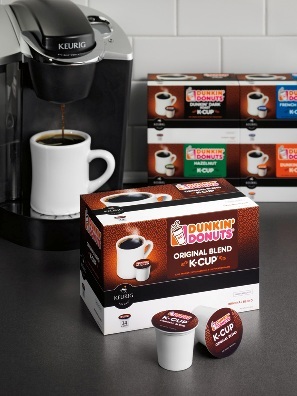 For a chance to win two Keurig® brewers, four 14-count cartons of Dunkin’ Donuts K-Cup® packs and one “This Mom Runs on Dunkin’” tumbler, followers of @DunkinDonuts will be asked to share why they “heart their Mom,” adding special hashtag #MomsHeart to their tweet. One winner will be selected at random, one on May 2 and another on May 3. For official rules and additional information related to Dunkin’ Donuts’ “Mom’s Heart” Twitter Sweepstakes, click here. From our DD family to yours, Happy Mother's Day!